Canada Revenue Agency Email and Phone Scams – There are multiple criminal organizations and individuals human-voice and robo calling Canadians impersonating a Canada Revenue Agency agent. These fake agents are requesting money or personal information. If you receive such an email or phone call, hang up without saying a word and call the call Canada Revenue Agency directly at 800-959-8281 to confirm the authenticity of the call. Missed Reporting Slips for your personal tax return? 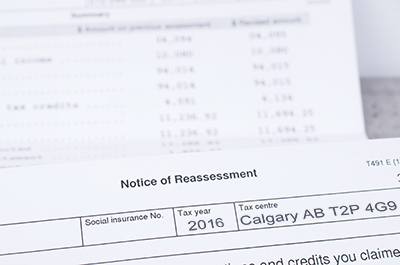 – The CRA has a 20 percent assessment policy on the gross unreported income (unfiled or reported T-slips and other income clips) in situations where a taxpayer has not reported income for the second time within a three-year period. Residence Reporting – Starting with the 2016 tax season, all Canadian homeowners will be required to report the sale of a principal residence on their personal tax return for the year in which the sale occurred. Subject to a late-filing penalty up to $8,000, the Canada Revenue Agency will accept a late-filed principal residence designation.